The chief transformation officer shares the most important focus area in media and more. Campaign US caught up with WPP and GroupM Chief Transformation Officer Lindsay Pattison this week on media complexities and opportunities. 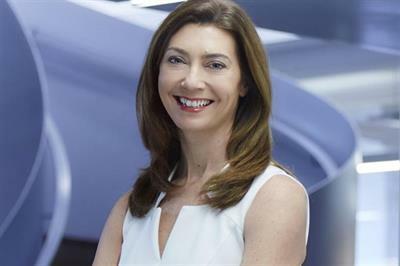 Last November, Pattison was named WPP’s transformation chief, while keeping the same title for GroupM, which she earned in May 2017. Before that, she was global CEO of GroupM’s Maxus, and in that role she launched a gender equality program called "Walk the Talk." The initiative, which aims to help senior women advance in their careers by eliminating barriers that prevent women from rising to leadership positions, was adopted throughout all of WPP and GroupM. This year, the program had 235 participants at GroupM alone, representing three regions and 50 markets. While Campaign US didn’t delve into Walk the Talk in the below interview, we asked Pattison her goals for WPP and GroupM, what holding companies need to succeed going forward and more. Since your title is "chief transformation office," tell us what the word "transformation" means to you. Opportunity. The media planning and buying landscape is increasingly complex - what do you think is the biggest hurdle in the space right now? Mindset. How about the most exciting opportunity in media right now? Voice. Holding companies are also in a time of flux - what do you think is the key for holding companies to succeed going forward? Simplification. Most important focus area for you right now in media: blockchain, A.I., programmatic, safety or something else? Quality. What will the media planning and buying landscape look like in five years? Bisected. Where do you consume most of your content? Twitter. What do you hope to accomplish for GroupM and WPP in the next year? Transformation!